Select one of our 3 designs. 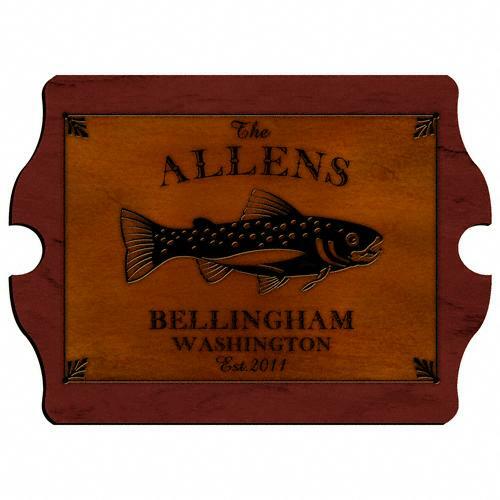 We’ll personalize with a custom message of up to 25 characters for no extra cost. Dad’s Crew: Your custom text goes under the words DAD’S CREW. D.A.D. : Your custom text goes under the words We love you dad! Best Grandpa: Your custom text goes under the fish. No matter which design you choose, you’ll make his day. 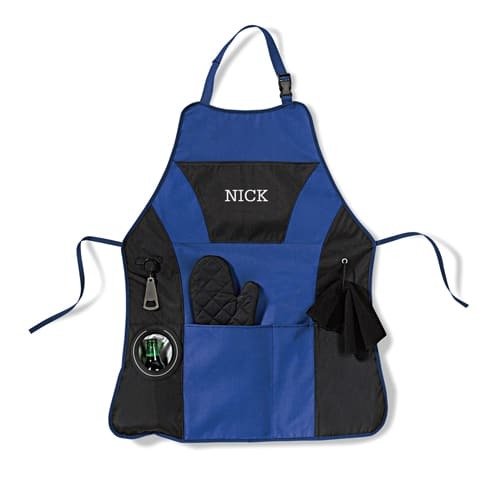 And you better believe that his grill creations will be much tastier when he’s wearing his official apron! Measures 28 3/8" x 19 1/2".